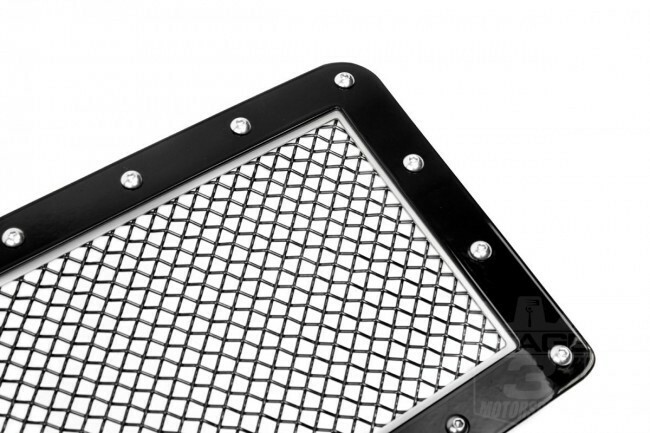 Real satin stainless steel bolts are adorned through the frames and mesh to assemble the grille together and to contrive a truly unique yet aggressive luxurious look for your truck! INSTALLATION: The stainless bolts that are used to achieve the characteristics of this grille are also used for sturdy and clean installation. 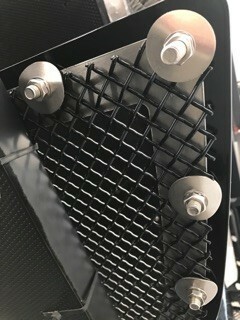 This grille installs as an insert, cutting/trimming of the inner cross membranes of the grille shell is required. Step-By-Step picture instructions are included, we also have our tech support for further guidance.